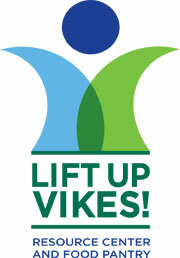 Lift Up Vikes is the Resource Center and Food Pantry on Cleveland State’s campus for students. If you are a student, you qualify-period! The pantry has fresh fruits and vegetables, along with non-perishable items and personal care items. The pantry is located in the Rec Center, Room 168 (216-687-5105). No appointments are needed just stop in during hours that the Resource Center and Pantry is open with your CSU ID. The pantry also accepts donations. Contact them for more information.